I recently watched a BBC2 Horizon documentary presented by Jimmy Carr about the science of laughter. He did some stand up and interviewed a few academics during the programme, all of whom had devoted their careers to researching laughter – what a great way to earn your bread and butter. Professor Sophie Scott, who happens to have a wonderfully contagious laugh, from UCL described how laughter is recognised by people of all ages, cultures and languages. It’s a non verbal, universally understood, expression of emotion. What actually makes us laugh can vary a lot from culture to culture and person to person and can change over time but the laughter response is thought to have remained fairly constant since ancient days. When we laugh our intercostal muscles which control the movement of our rib cage contract causing us to squeeze air out of our lungs rapidly. If you laugh hard you can become breathless. If you get into a real fit of laughter you can end up on the floor as your muscles become unable to control your stability. This has happened to me on quite a number of occassions, particularly throughout my childhood! Professor Robin Dunbar from Oxford University described how primates use physical grooming as a way of cementing social bonds within their communities. This stroking releases endorphins in the same way that laughter does. Dunbar’s hypothesis is that the laughter response emerged as a more time efficient way of building social bonds between people because unlike grooming, laughing can be done very easily as a group activity. This he says, has allowed humans to have larger social groups than primates. Apparently the average social group size for a human is 150 meaningful relationships, whereas for the most social primates it is 50. One striking fact that emerged from the programme is that you are 30 times more likely to laugh out loud when you are with other people than when you are alone; it’s a way of forming and cementing social connections. This got me thinking about Edward. Throughout his life I have often heard him laughing out loud and it is indeed a wonderful sound which I find heart warmingly infectious. However Edward, even as a teenager, doesn’t seem to need to have any company to trigger his joyous peels. I often hear him sitting in the study alone and suddenly from nowhere hearty chuckles erupt as he responds to something or other on the computer that has amused him. None of my other kids do this, they tend to laugh out loud only if they are with someone else. Or if they do laugh out loud when they are alone it is because they want someone in the next room to hear them and come and join in. I decided to look into this a bit more and came across a study by Bill Hudenko, assistant professor of psychology, and colleagues Wendy Stone and Jo-Anne Bachorowski from Vanderbilt University who published an article, titled “Laughter Differs in Children with Autism: An Acoustic Analysis of Laughs Produced by Children with and without the Disorder,” in the Journal of Autism and Developmental Disorders. They identified two different types of laughter. A spontaneous gleeful laughter and a more social kind of laughter. For their study, the researchers recorded children during a series of fun and playful interactions with an examiner. The results indicated that autistic and non autistic children basically laughed the same amount as each other, but there was a striking difference between the types of laughter they used, with autistic children using virtually no social laughter. Hudenko and his colleagues hypothesize that children with autism may be laughing in response to positive internal states, rather than using laughter as a form of social communication. This makes sense of so many moments in our family life. Edward laughs very readily if he genuinely finds something funny but I don’t think he uses or really understands social laughter. Often we’ve been in situations where things have become awkward and I’ve instinctively used a social laugh in an attempt to smooth over the waters. Here’s just one of a hundred possible examples – A colleague and I were going on a course and had decided to travel together. I’d arranged for her to come over to my house early on the day of the course. I hadn’t expected Edward to see her so I hadn’t mentioned to him that she was coming. When she arrived I wasn’t quite ready, so she waited in the hallway as I grabbed my things. Edward came down the stairs, saw my colleague, whom he had never met before and asked me very loudly and seriously, “Who’s this random woman, and why is she here?” It was funny and awkward and I must have produced a little embarassed social laugh as I tried to introduce my colleague and son to each other. I’m sure many mums up and down the country use this kind of laughter all the time. If you are part of a family who all understand social rules and conventions these little laughs undoubtedly help everyone to negotiate social interactions more smoothly. In my family though Edward notices and demands, “Mum, why are you laughing? I don’t see what’s funny!” magnifying the awkwardness of the moment 100 fold. These moments are delicious agony – not always comfortable at the time but they do tend to leave a wry smile on my face later on. I smiled all the way through this and loved your statement about these moments being delicious agony. I can so relate to that! 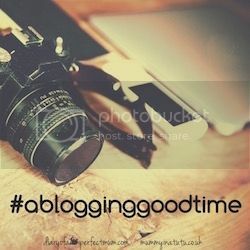 Thank you for linking up to ##ablogginggoodtime ? 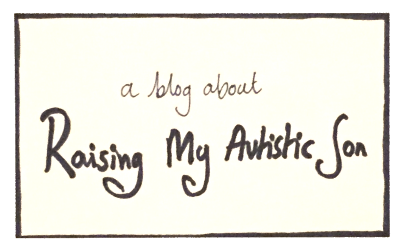 A really interesting read… personally i always feel much better after laughing! I knew someone who sounded like a donkey when they laughed which then set everyone else off. Thanks for leaving a comment! My son sounds so similar to your Edward. He laughs out loud a lot, but mainly when he is by himself and often over things he has remembered from the past, not from something he has just seen or heard. And yes, now you mention it, there is no social laughter – he laughs when he finds something amusing, not to share with others. What a fascinating read! Thanks for your comment Kirsty – at least when we hear our sons laugh we know it is beacause they are genuinely amused and not simply attempting to please others. This is so interesting! My E is just the same – laughs to himself all the time. he does laugh at things that his father and I say (he loves absurd word games) but thinking about it, I don’t think I have ever seen him laughing when interacting with another person at all. Thanks so much for linking with #SpectrumSunday. We hope you come back for the next linky.